What are the Responsibilities of Keyholding? 3000 Property Security Birmingham offer a key holding and alarm response service, but what exactly is it? Finding a trustworthy keyholder is an integral part of running a successful business. The safety of your premises is at the forefront of our minds. You may want to pass on the responsibility of security breaches on your property into the hands of a trusted third party. You are enabling yourself to stay protected, decreasing the risk to yourself or your employees by having a security team search the premises and making sure that the security is at a high standard and the alarm is turned off. 3000 Security have a 24-hour Control Room enabling us to oversee staff and services to ensure that everything is going smoothly, thus offering higher security. 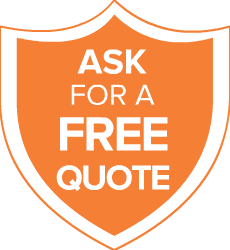 But why should you opt for our key holding and alarm response services? Typically, it is the responsibility of two people to hold the keys to the premises of a business, which allows for two responders to then access the alarm should it be activated by accident or triggered by an intruder. When you’re absent from the premises, either on business or on annual leave, at the forefront of your mind may be the security of your business. Similar to if you would like your residential property protected. Choosing a security company for key holding and alarm response means they will respond to an alarm and check the security of the premises, so you will not have to worry. It is a simple and hassle free solution to use a security company to secure your business and ensure that the safety and security of your premises is kept high. We also offer many other security services in Birmingham! Businesses and homes are potentially at risk of theft or vandalism, even with the latest technology of alarm systems installed. 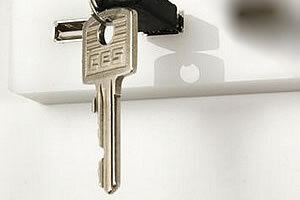 Key holding services are an ideal solution for homes and organisations to offer complete peace of mind for your property and its safety. Our key holding team will meet with you for a brief discussion of your premises and current alarm system prior to agreeing on any specifics. After the meeting, we will collect any keys from yourselves and test those keys prior to both parties signing a Key Receipt form. We will then code and store the keys in our secure control room – the only time the seal will be broken will be if we need to attend your property for an alarmed response. After our officers have attended your premises upon alarm activation, you will receive a documentation of a visit. Key holding and alarm response is perfect for eliminating any potential risk to yourself, or if you are in an office environment, protect your staff with a prompt and efficient response. For further information about our key holding and alarm response services please visit our website!